Visit Ponderosa – 650-acres of year-round retreat and relaxation. No place so close ...can take you so far! Ponderosa is 650 acres of year-round retreat and relaxation. Explore why it's everything you'll need to make a great getaway! Just off of I-25, between Denver and Colorado Springs, it's the perfect spot for groups to find themselves. Nestled in the pine-covered foothills of the Rockies, we serve up some of the best food you’ll ever find in a casual destination — created with Colorado style. Upon arrival, you’ll need to switch gears to comfortable and prepare to hear the sounds of nature, laughter, and hopefully even Our Creator. 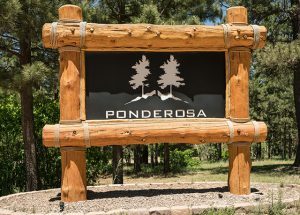 So whether you’re preparing to bring a group for a retreat or a strategically planned event, Visit Ponderosa. It's everything you'll need to make a great getaway.